Just like this post, seeing the Tumbleweed was totally worth the wait. I apologize for the wait. Moving, among other stresses, has pushed blogging a bit too far down the “to do” list. My favorite speaker from the Tiny House Expo was Jay Schafer, one of the founders of the movement. 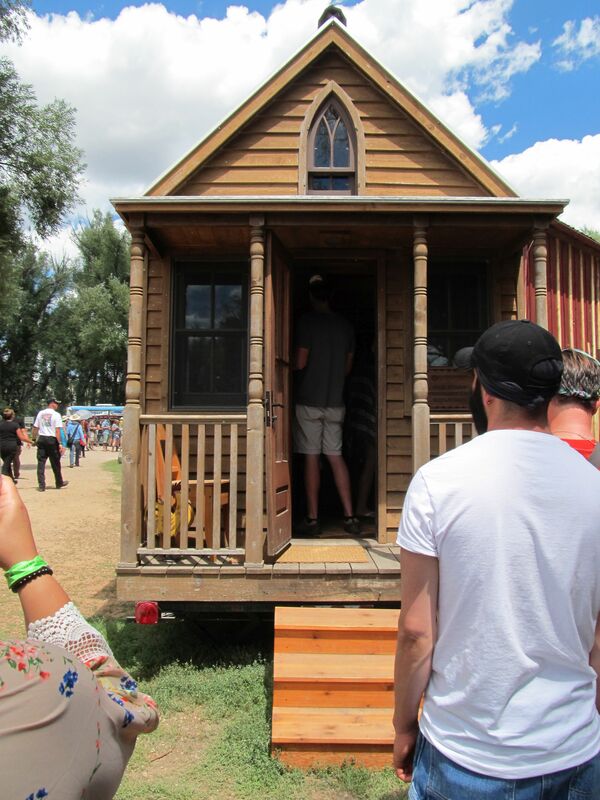 His tiny home was designed and built in 1999 and was hands-down my favorite at the show. Of course, I have a growing love for little, simple cabins, which is essentially what his was. 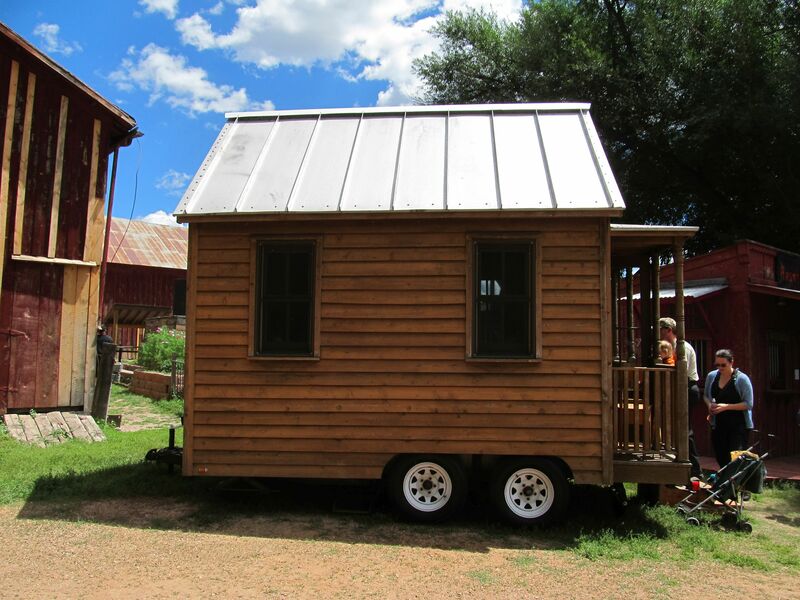 He is also the one that said the definition of a tiny home is any house in which every square foot is used well. The idea is that there are a whole lot of options between 100 square feet and 3,000 square feet because, in the end, it has to be what’s right for you, personally. Jay’s talk was about his personal journey, but he shared more than just a narrative and a flair for storytelling. He shared lessons he’d learned and philosophies he’d developed. And his laid-back, open manner made it clear why this is such a welcoming movement. He couldn’t have inspired anything else. Personally, I’d need a little more kitchen, but it does keep you to the essentials! The step he suggests that you start with is to create a list of what you actually need to live. This could take two or three years, so be patient. He did this, himself, when he spent two years living in an Airstream trailer. 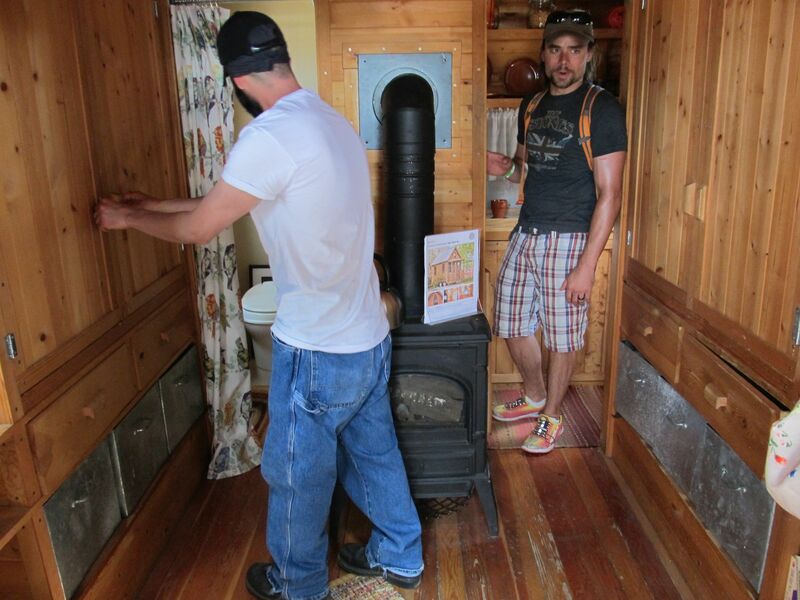 While he was scraping ice off the inside walls of the Airstream, he determined that insulation was pretty high on the list of things you actually need to live. However, he also believes that your house does not need to be your whole universe. If you’re living in a tiny house village, there’s no reason you can’t share amenities like washing machines or a library. He hadn’t intended to start a tiny house movement. After all, tiny homes used to be normal. Hippy shacks, settler’s cabins, even caves weren’t the massive homes that have become normal. The word tiny came about because a “small” house was 2,000 square feet in the 1990s. Once he found out that tiny homes were illegal, though, it suddenly became imperative to live in one, himself. 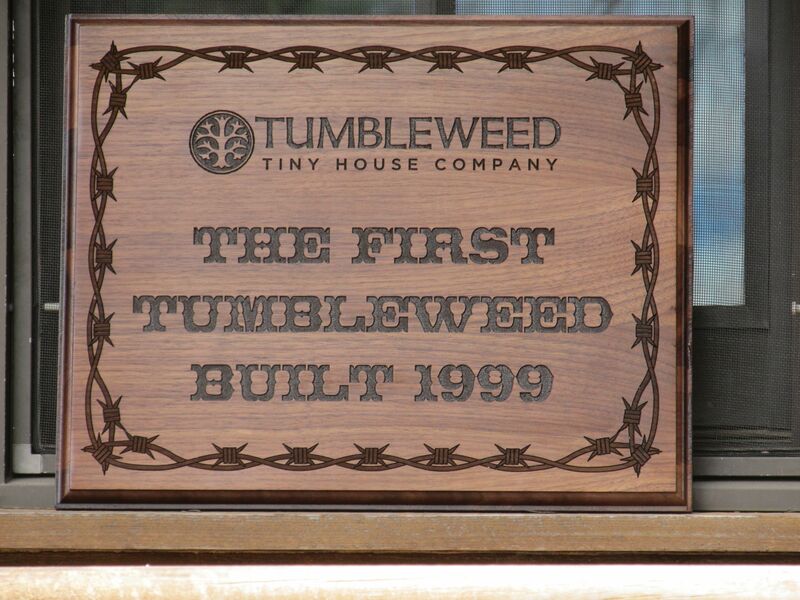 So he built a house called The Tumbleweed. 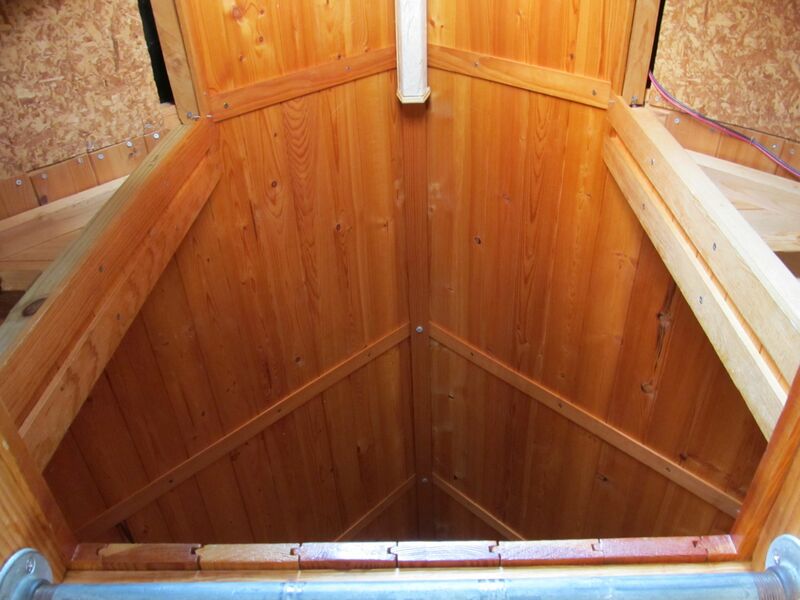 There was no ladder into that loft, and, unlike some of the more limber visitors, I wasn’t about to do a chin-up for a peek up there. 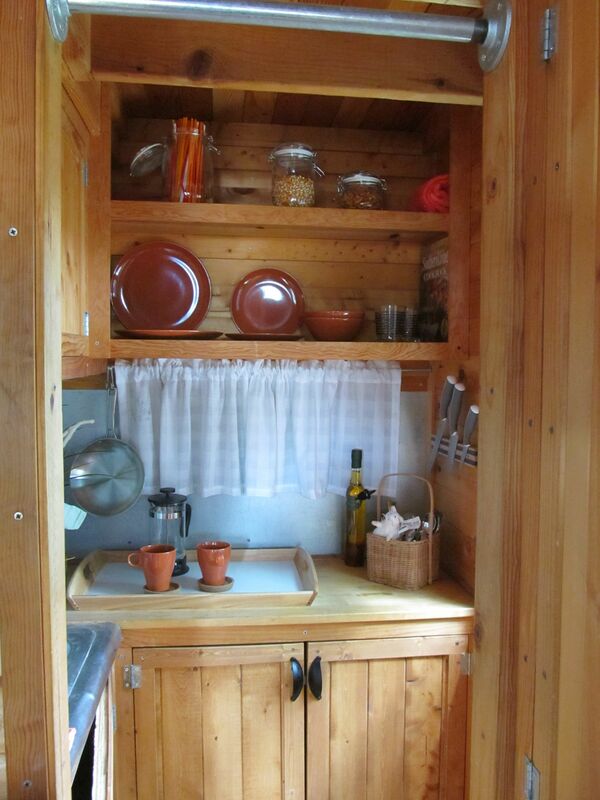 Every self-built tiny home is a self-portrait of the builder. As Jay pointed out, so much of life is about home and how we live in the universe. Are you a community type that lives in a village? Are you the unibomber type that lives alone in the woods? I’m more the latter type, myself, but I can see the charm of living surrounded by people that have similar goals in life. The house is also about boiling everything down to the essence. What does home mean? Because it means something slightly different to each person, each home will express it differently. As they should. When you’re building your house (or even having it built), there’s no reason to build to the lowest common denominator. I think that’s the problem with RVs, really. They aren’t built for beauty unless you’re willing to pay so much you may as well have it custom-built. The design should be not just efficient and useful, but also such that the materials aren’t ugly. 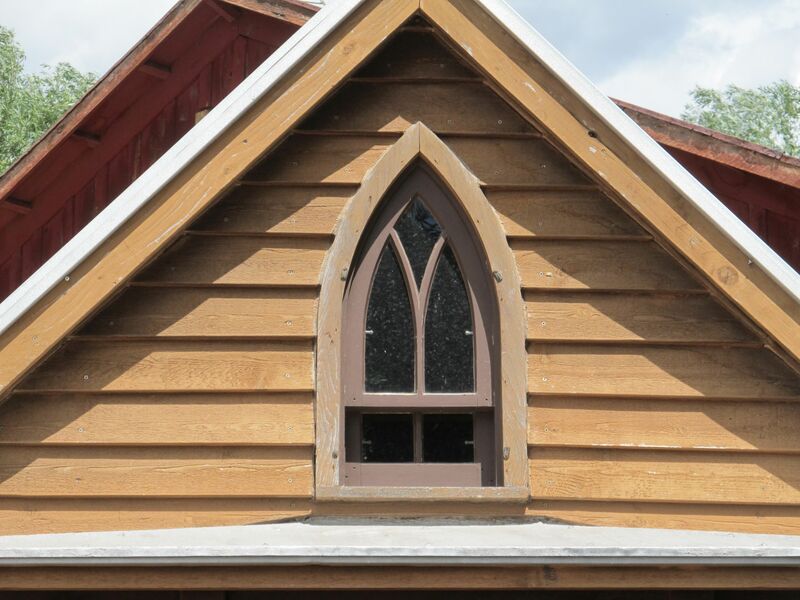 Any material, from tin to mahogany, can be attractive or not depending on how it’s used. 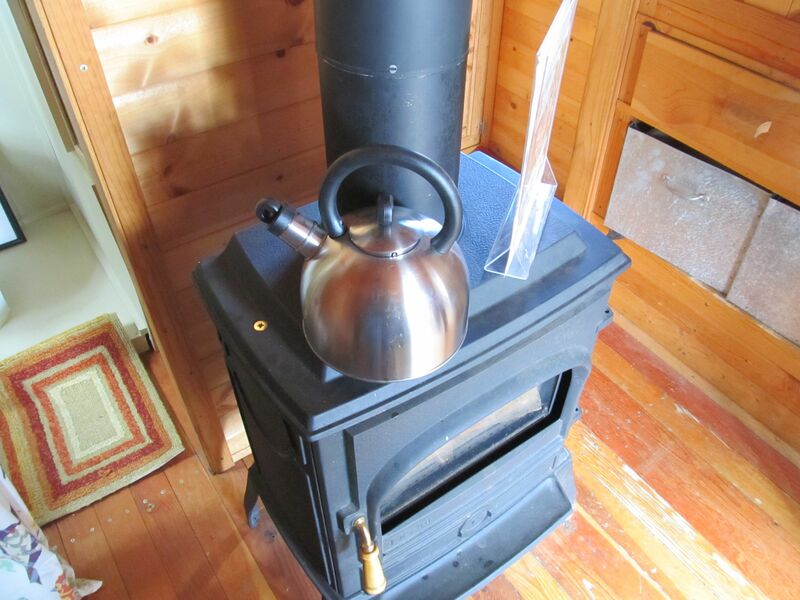 I am heartily in favor of “home” including a kettle on the stove! One of the challenges Jay faced was finding room for his art materials. As any artist or crafter can attest, one’s stash of necessary materials has the potential to get out of hand pretty easily. Then he realized that art is simply the practice for real life. Real life is living artfully. Your glasses, windows, chairs, and walls can substitute for art. Isn’t that window an artful detail? I love it! As of 2015, the minimum room size for the building codes dropped from 120 square feet to 70 square feet, though they still require a separate bathroom. (Don’t forget that building to code can happen without meeting the zoning standards. Legally, you have to meet both.) Codes are supposed to be to protect the health and wellbeing of the people- so where is the proof that these size rooms are really necessary for health and wellbeing? As a people’s movement, it is up to the people to push for more logic in the rules that are restricting us from building the house we need as opposed to the house we’re told to have. 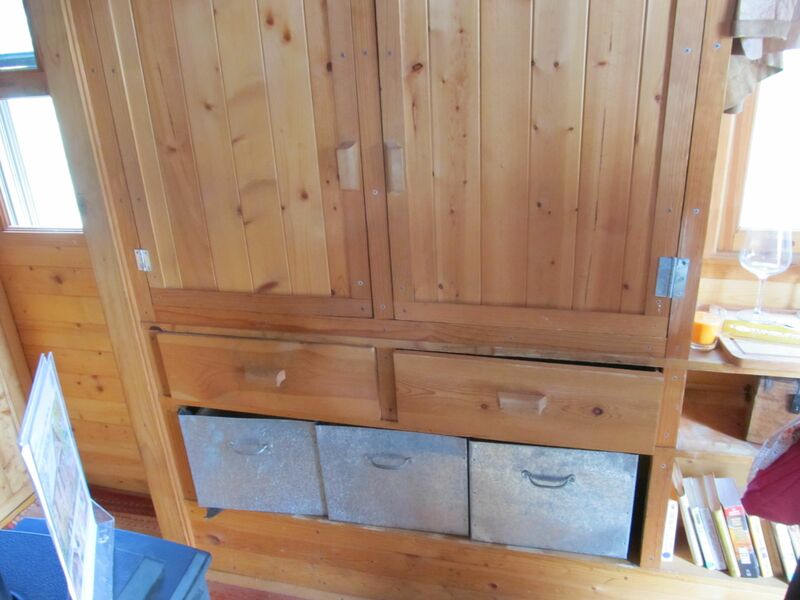 You can fit a lot into this storage area- if you’ve done the internal work to know what you really need. Jay concluded his presentation by warning us that the biggest danger is from within. “Tinier than thou” exclusivity could drive out both newcomers and new ideas from those who have been with the movement since it started. There is also the possibility of corruption from within, like the organic movement. Just because it’s small doesn’t mean that it’s an efficient use of space or a way for the owner to really do the soul-searching necessary to live the life this movement is about. However, if we keep the movement of and by the people, it will continue to flourish. Jay was my favorite speaker, not just because he was fun to listen to and had some very quotable statements, but because he exuded the self-assurance of someone who has figured out what they need out of life, what they want out of life, and how to go about fulfilling both. That makes him not just someone to listen to, but someone to aspire to. Just as each of our homes end up looking different, the way we express how we fit into the world will be different. But the ability to figure out who we are and what that place in the world is, is something that many people have trouble getting to. In no small part because they’re so caught up in their big house, big mortgage, and big piles of stuff that they just don’t have the energy left over to examine their lives in depth. I have been thinking for a while, now, that I needed to get a better handle on my “stuff” and probably thin the herd quite a bit. Going to the Jamboree and particularly listening to Jay is giving me a positive reason to make the change. Previously it had been negative- I hate moving all of it when I move, I never have room in my rented room or apartment for all of it, storage units get expensive. But now I have something to work toward instead of away from. I will be working toward a lighter, brighter, more complete life than the one I had while burdened with all that “stuff.” It’s a much better reason. No room for anything but the essentials for a good life!